Building lifetime connections with William & Mary starts early. The journey begins the moment a legacy is born, or when a person becomes interested in enrolling, spans through the student life cycle, and continues beyond graduation when the university benefits from sustained alumni engagement. 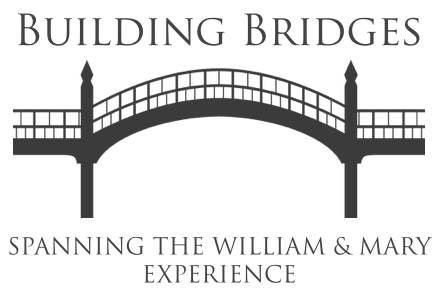 The “Building Bridges” Initiative is a William & Mary strategy-driven effort that focuses on helping our constituents – students, faculty, staff, alumni, parents, corporate partners, volunteers, and friends – engage effectively with the university. The effort highlights the overall Tribe experience while strengthening our institution’s commitment to be a leading public university, globally engaged, and connected to graduates for a lifetime. It bridges the processes of university departments across one platform, equipping the faculty and staff to make informed decisions and provide personalized services to our common constituents. William & Mary is committed to developing a unified picture of an individual to provide a welcoming and engaging university experience. Through the adoption of a campus-wide constituent relationship management (CRM) solution, the Building Bridges Initiative brings together the processes related to recruitment, student success, and advancement into one platform.